I will never forget my first Rosh Hashanah sermon nine years ago at my congregation, Shaarei Kodesh. I was fresh out of rabbinical school, all starry-eyed and wet-behind-the-ears, energetic and optimistic. For my very first High Holiday sermon, I wanted to present a compelling vision for our community. I spoke about a concept called “covenantal community,”which I had developed from congregation-based, community organizing experiences while in rabbinical school at the Jewish Theological Seminary through the Seminary Leadership Project through JOIN for Justice. I began by speaking about social media’s troubling effect on our human connections. While social media platforms were not as ubiquitous in 2009 as they are today, people were beginning to glimpse their irresistible grasp over our ordinary lives. Then, I introduced a campaign of house meetings and one-to-one visits that turned out to be quite successful. Seventy percent of our congregation interacted in meaningful ways by listening to each other’s stories, sharing our visions for our community, and acting on some issues together. I’d thought that everyone would see the light and jump on board! Why wasn’t the culture changing faster? Why did so many of our congregants still view their relationship to our community as transactional? In the years since, as I’ve met more and more people who have come to check out our storefront synagogue in a strip mall, I’ve realized something: I hadn’t really been listening. I have since thought about how best to approach growing not just our community, but also other holy communities. The Ramban once wrote that each person is a sefer Torah/Torah scroll—our bodies are like the parchment and our souls are the letters written on that parchment that are akin to the name of God. Creating a sefer Torah parallels the creation of human beings. Each is made from an(other) animal. Both take nearly a year to create. In both cases, the creators take great pains to ensure that every detail is perfect in its own way. – Peshat (פְּשָׁט) — “surface” or the literal or direct meaning. – Remez (רֶמֶז) — “hints” or the deeper or hidden meaning beyond just the literal sense. – Derash (דְּרַשׁ) —”search” the comparative (midrashic) meaning. It involves either expounding on something already there or imposing meaning on the text. – Sod (סוֹד)— “secret” or the esoteric/mystical meaning, as given through inspiration or revelation. The term pardes also refers to an orchard, a beautiful paradise. Not only is it a way to study Torah, but once you engage in it, you enter into an actual place of paradise. This is common: I want this thing and I know I have to pay for it to get it. This is the fee-for-service model, transactional in essence. Rabbis have become disillusioned with this model, a model that has helped synagogues grow and thrive throughout the 20th century in America. However, we shouldn’t be disillusioned or disappointed that people come to us with specific wants and needs. We are products of a larger culture in America, a capitalist, consumerist and market-based society. When I first meet someone who enters our kehillah for the first time, they may say that they are “shul shopping.” It is not a term many rabbis like to hear. We do not like to think of our communities as products that can be bought and sold. But perhaps we should embrace our placement within the marketplace of community offerings as merely the first part of what could be a deeper and more fulfilling relationship. Additionally, if we do not fulfill the basic needs that people are “shopping” for, no matter how connected our members are to the community, they will not remain part of the community. If their top priority is the prayer experience, and they cannot connect spiritually with the community, then no matter how well we do in other areas, they will leave us. If we do not provide a quality Jewish educational experience for their child, no matter how warm and friendly we are, they will have to find a place that offers that specific service. It is akin to Maslow’s hierarchy of needs—if one cannot get enough food and water, they cannot ascend to the next level. This is why we must work to provide the highest quality essential services for our congregants. The danger is in allowing these essential services to be all that we are. Herein lies the beauty and purpose of what we provide: Covenantal communities offer something that an independent rabbi cannot provide—the potential to move beyond the purchased service. This is analogous to the exegetical approach to Torah: First, we must know what the text says on a basic level before we move on to the hint, the remez. The remez, or hint, is the reason behind the reason. Consider this, not-uncommon scenario: Parents who have not enrolled their child in formal Jewish education wish to join the congregation when the son is 12, in time, they hope, for the child to experience bar mitzvah at the shul. The parents view the bar mitzvah as a product they can purchase, the congregation as the store, and the rabbi as the proprietor. As rabbis, we typically find this situation irksome, yet when we ask them careful questions and listen empathetically, we learn much more: Why do they want the bar mitzvah? Why haven’t they given their child a Jewish education before this time? Is this about promises made to their own parents or perhaps their own difficult or uncomfortable childhood experiences with Judaism? What unseen baggage do they carry? It is incumbent on us to learn their stories. Through learning their personal stories, the agadah or the legend of each person, we are able to better help them take the right steps. This is how we can challenge them: “I know this is what your dad wanted, but what do you want for your child?” Or, “I understand that you had a negative experience in the synagogue of your childhood, but are you willing to take part in our congregational life, here and now?” The answer will be found through experience within the community. 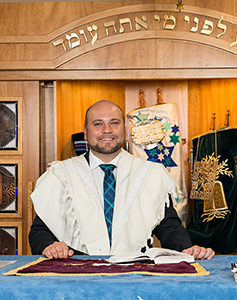 At our congregation, like many, we have a family education component to bnai mitzvah. We create cohorts with our families and, through our meetings, we look at the deeper meaning of bnai mitzvah. We engage the parents and children in considering what it means to be a responsible adult—at 13, at 30, at 45. Each family shares their story, and we realize that not all families are built the same. Through our story sharing, through learning about our past, we are able to build deeper relationships with one another. It is through experiences like these that we are able to begin the journey to holiness. After the remez is found, we move to the derash. I like to think of the derash as the articulation of their experience and how it relates to their family’s lives. After months or maybe years of being part of the community, the individual can express how being a part of a covenantal community has made life more rewarding, meaningful, and holy. Through our house meetings and one-to-ones, we ask the question: Share a time when you felt that Shaarei Kodesh made a difference in your life. Some will share the story of when they lost a loved one. They felt alone, and in terrible grief, but they received calls, messages, and visits from people whom they really did not know well. These people came to their homes for shiva. The Sunshine Team (our gemilut hasadim committee) dropped off a Shabbat meal for them a week later. Or perhaps there was a time when they learned something life-changing in a class or from a sermon. In each circumstance the person tells how their life came to be connected to the life of the collective. Finally, we arrive at the sod—the secret mystical meaning behind belonging and joining. I will never forget a story I heard from one of our congregants. He articulated what it felt like to be in a much larger synagogue. He said he felt lost and unconnected. There was something missing, though he could not quite put his finger on it. A short time after he switched his affiliation to our congregation, he said that he found something that he could not quite define. He said: “It was as if we were walking in a fog and suddenly the lights turned on.” The secret is the hardest thing to define. It is a feeling, a sense of being, a sense of purpose, the result of all of these other qualities put together with experience and time. All of this takes “getting up on the balcony,” something that I learned from being a fellow in the Clergy Leadership Incubator (CLI) led by Rabbi Sid Schwarz. The program uses the discipline of adaptive leadership, to help rabbis learn to adapt and thrive in challenging environments. “Getting up on the balcony,” seeing the big picture, gives us the ability to see patterns from above and identify the adaptive challenges that we face as North American congregations in the 21st century. As we get up on the balcony and see the patterns of involvement, we see something obvious, which might well have been contributing to our problems. Synagogues call their congregants “members.” In Boca Raton (and elsewhere), people connect the term membership to country clubs. Membership has an elitist or exclusive connotation and is, essentially, a fee-for-service model. This works for a market-based culture, but what happens when we want to move beyond the market culture to a culture based on deep relationships? I decided to address this issue head-on in our congregation. After a year-long process of visioning with a core team and after a unanimous vote from our board of trustees, our congregation changed our purpose and vision: We are no longer members; we are chaverim, or partners. Our chaverim serve our congregation and our congregation serves them. We have expectations from each other that are clearly laid out in our new vision statement. Our vision statement is not what our synagogue does in the community; rather, it outlines the expectations that we have for each chaver. We are also changing our relationship to those who choose not to pay dues as their form of support. For example, the many people who purchase High Holiday tickets are no longer called “non-members.” Rather, whether they come once or year after year, we welcome them as ushpizin, or sacred guests. Last year, following the Yamim Noraim, we invited them to join us for Shabbat meals and other programs, free of charge. After all, when you host someone, you don’t ask them to pay. Some of our sacred guests did become chaverim, but that is not the purpose of this endeavor. Rather, the purpose is to give our core chaverim, or partners, enhanced purpose—to help bring people from the outside into the community and change their lives for the better. These expectations must be made known to those who move from sacred guests to chaverim/partners. We do this by holding an orientation a couple of months after people have chosen to become chaverim. No matter how much we wanted to change the name of the program, we had to call it a “new member orientation” to help ensure that people understand and attend. This is how ingrained the term “member” is in synagogue culture. This welcome event for new households is held at the local Jewish community’s new prayer labyrinth, a unicursal, maze-like surface on the campus of the Boca Raton Jewish Federation. We begin a physical and spiritual journey together; new chaverim share their stories and learn Torah. At the end of this shared afternoon, we begin to see that we are partners with each other, with our community, with our tradition, and with our Creator. In addition, by the end of the afternoon, all have been introduced to the language of partnership, and we use chaverut instead of “membership.” This language is now used in most of our internal and external communications. It has even made its way into ordinary conversation. We have not yet determined the best financial model for this system. There has been much written about the voluntary dues model, but I honestly think every community has to figure out what works best for itself. We are beginning a process to review our traditional dues model to see if it truly matches our purpose, vision, and values. Our congregation has experienced a 60% growth in the number of our chaverim (congregants who pay yearly dues), during a period when many congregations locally and nationally have experienced decline. We achieved this growth even with a make-do space, a modest storefront in a strip mall, and stepped increases in dues over the past several years. Our growth, however, cannot be measured in number of chaverim alone. As our 15-year-old shul has evolved, we’ve matured recurring programs and seeded innovation, too, all of which have had effects within and outside of the community. Not everyone will get to the end—from pshat to sod. Sometimes, there are people who come for the pshat and, no matter how hard you try, they do not want to go deeper. Remember, you can bring a horse to water, but they have to drink from it! You can bring a Jew to Torah, but sometimes, they will only see what is on the surface. Not everyone takes the full journey. Rabbis have to be okay with that. I have come to realize that if we create covenantal community, many of the Jews who walk through our doors merely to experience the surface (pshat) will then open themselves to the full taste of the paradise (pardes) that’s available. I’m ready to let the community we build speak for itself. Baum, Rabbi David. 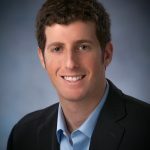 “Building a Covenantal Community.” http://www.rabbidavidbaum.blogspot.com/2018/05/building-covenantal-community-rosh.html, Blogger, 21 Sept. 2009,. “ Schwarz, Rabbi Sid. “It Is Called Covenantal Community.” www.rabbisid.org/it-is-called-covenantal-community/. 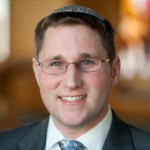 David Baum received ordination from the Jewish Theological Seminary of America and is the rabbi of Congregation Shaarei Kodesh in Boca Raton, Fla. He is an alumnus of Cohort 2 of the Clergy Leadership Incubator (CLI). Thank you to Shaarei Kodesh chaver, Suzanne Bring, for editing support.